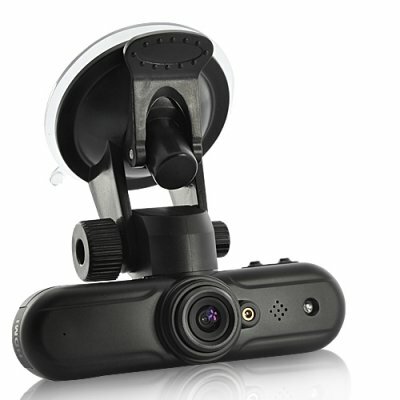 Successfully Added 1080P Full HD Car DVR and GPS Logger (4GB) to your Shopping Cart. 1080P Full HD Car DVR and GPS Logger (4GB) for you to record video, audio and GPS data from your car while you focus on driving. Installed discreetly on the windshield thanks to its convenient dimensions, this HD Car DVR/GPS Logger will record everything happening in front of it when the engine is on. With its huge internal memory of 4GB it can store countless hours of road, vehicles and landscape! What more? It can record your driving speed, and the precise longitude and latitude of your car. While it’s recording, it also automatically generates a GPS logging file, which shows your logged path and can be viewed directly without installing any software on your computer. If you get in an accident and need to clarify immediately what has just happened you can connect the device directly to a video player via an AV cable. It is very useful to get indemnified instantly for small cases. Equip your car with this practical gadget to feel more confident while you are driving. Also perfect for resale, this 1080P Full HD Car DVR and GPS Logger is brought to you at a great price by the online leader in China wholesale electronics - Chinavasion. Easy to use. No software installation required. Do I need to install any software to view the logged path? No, just click the GPS Data file generated by the logger you will be able to view directly.